him and helped mend his heart,...literally!! 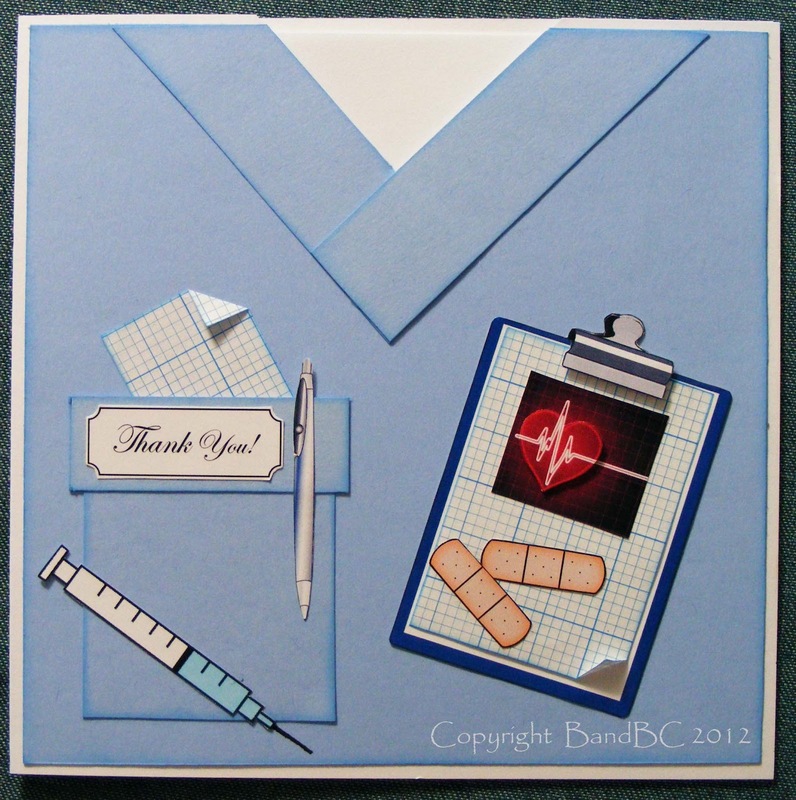 She asked for 'the blue "scrubs", a heart , and thankyou' to go on the card. even know what they were, before I started this card! 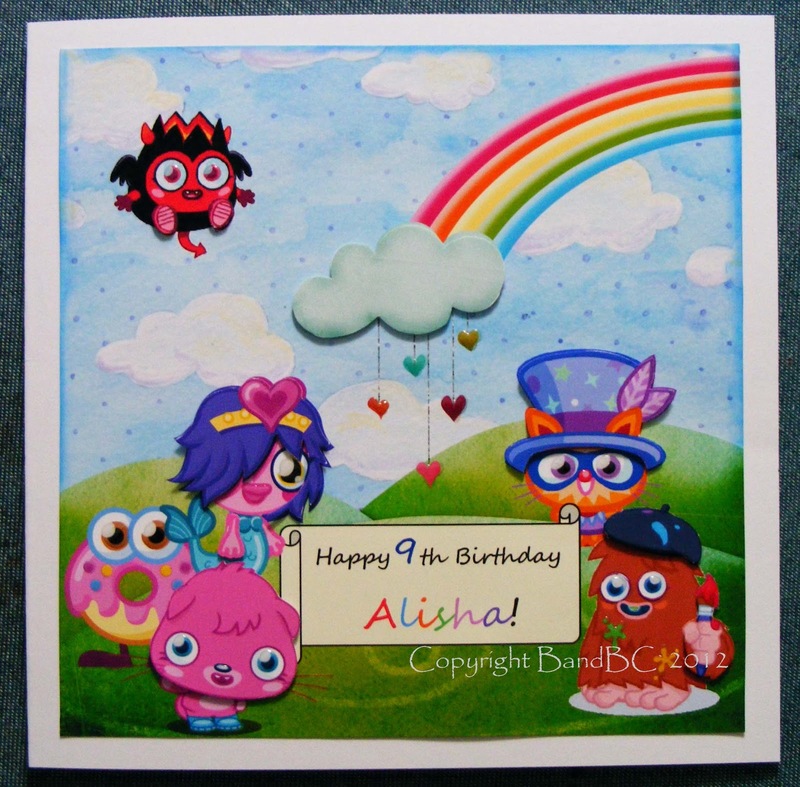 I made the image, arranged the characters, and decoupaged some features. Apparently, she took it into school. to show, in 'show n tell' !